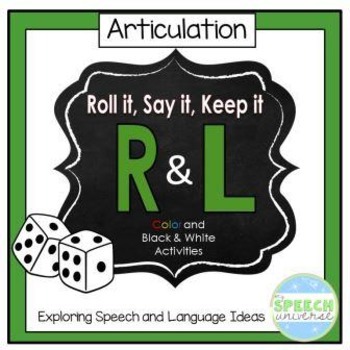 This activity focuses on articulation of L and R. This activity uses dice, a game board, and cards. Students place the L or R item cards on the game board and roll the dice. 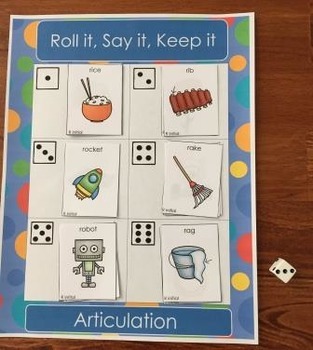 They say an articulation word as many times as the number on the dice. If they say it correctly, they can keep the card. You can tally the numbers that they roll, and the student with the highest number when the cards run out, wins. 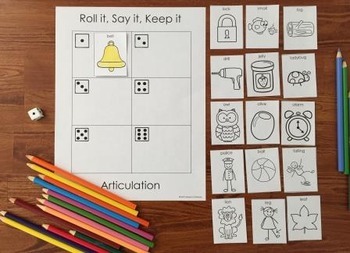 This activity includes both L and R cards in all positions of words. There are 16 initial, medial, and final L and R cards. There is also a new black and white activity in this packet that students can color and you can send home for additional practice.